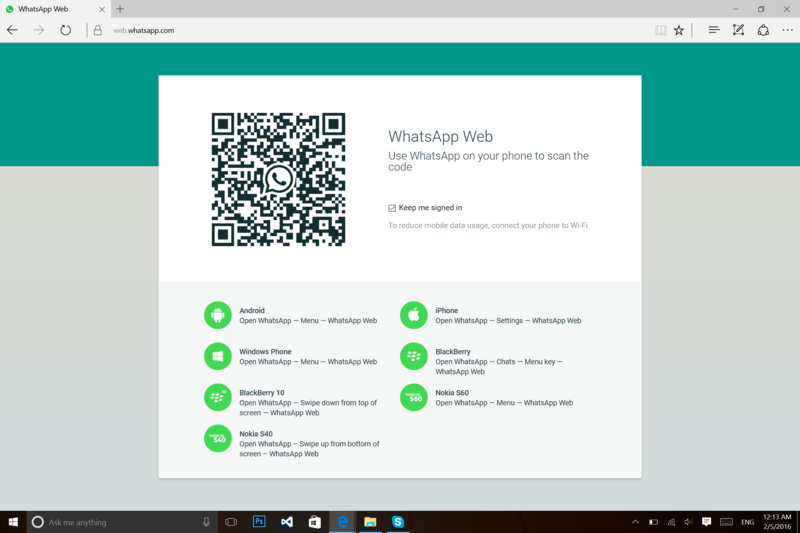 WhatsApp Web is finally available to Microsoft Edge browser users. Microsoft Edge is the official browser that comes pre-installed in Windows 10 and Windows 10 Mobile operating system. It’s also the browser that officially replaced Internet Explorer (still available in windows 10). WhatsApp Web was introduced sometime in January 2015 as a web client that mirrors a persons chat account from your phone to your personal computer. This was introduced to provide a richer communication experience to users of WhatsApp. WhatsApp Web isn’t a different chat account or platform. It’s the same WhatsApp account setup on your phone that gets synchronized and mirrored to the PC, so you have the same information. But up until now it wasn’t usable on Microsoft Edge browsers and still doesn’t support any Internet Explorer version. You need to use the latest version of Microsoft Edge, Chrome, Firefox, Opera or Safari as your web browser on your computer. 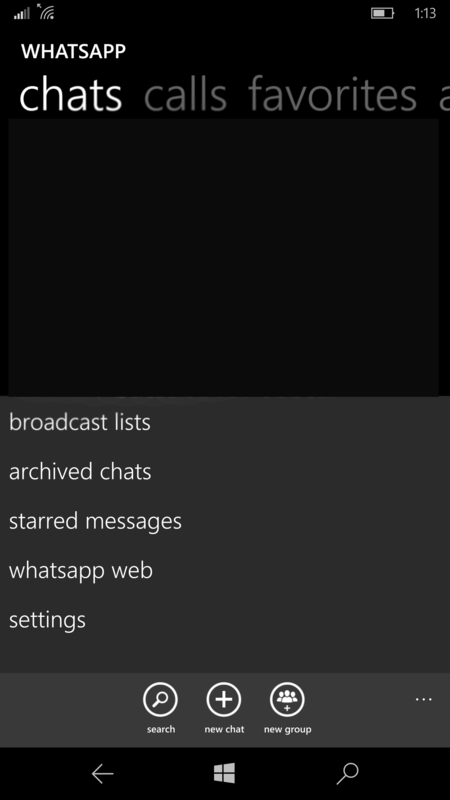 On Windows Phone: under Chats go to Menu > WhatsApp Web. Scan the QR Code on your computer screen from your phone with your camera. From your phone, navigate to WhatsApp Web to view your logged in computers or to logout from an active chat session. Is this an added bonus to you?, because honestly I’ve been looking forward to this as I’ve decided to try out only Microsoft Edge and Internet Explorer on a PC as only browsers. There have been some limitations as expected but with more extensions expected to be available in the next major Update aka “RedStone”, I guess I wouldn’t have much to worry about. With WhatsApp being used by people in doing several things like sharing vital information during natural disasters or health emergencies, finding a date, growing a small business, buying an engagement ring, or seeking a better life etc. it comes in handy.